This is an official shop of all the items from five TV stations; Nihon TV, TV Asahi, TBS, TV Tokyo, Fuji TV are all displayed. 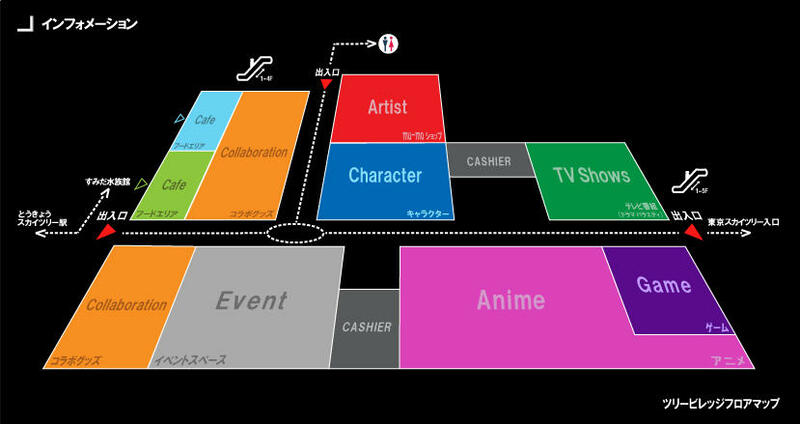 It has the trend, popular & standard animation, variety shows, characters, drama, original goods from TV programs, artist goods, game, and also restaurants and cafes are equipped. This is an entertaiment shop where shopping and dining can be enjoyed. Directly connected to ""Tokyo Skytree Station"" at Tobu Skytree Line. 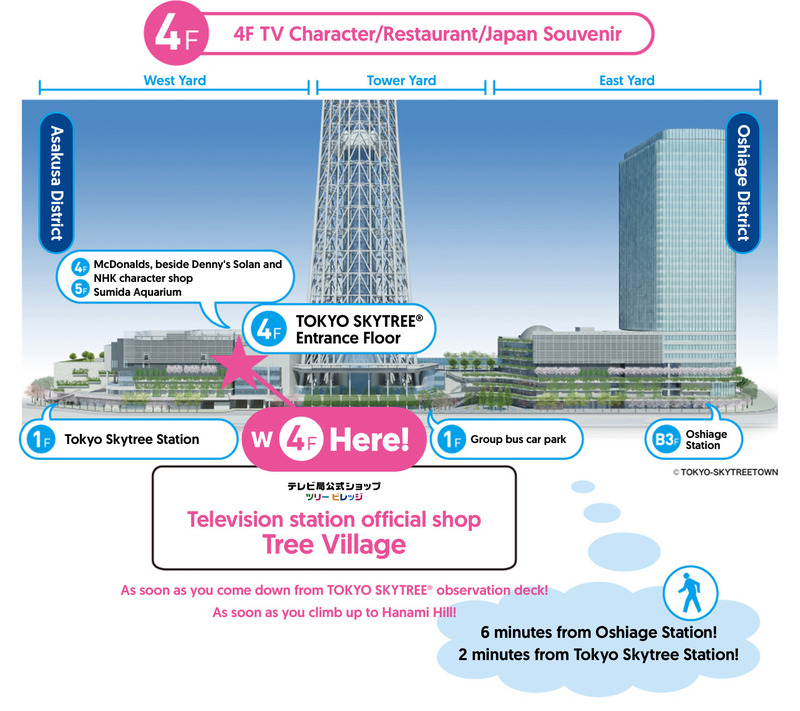 If you go up to top (4th floor) at Hanami Slope from Tokyo Skytree Station (former Narihira Station),you will see entrance of store of Tree Village in front of you. Directly connected to Tobu Subway, Tokyo Metro and Tobu Line ""Oshiage Station"". As Oshiage Station is directly connected to East Yard, you go through the building or go to West Yard by going up Sorami Slope. If you tell information or Soramachi staff ""Aquarium on 4th floor of the West Yard near Denny's and MacDonald"", you will arrive at the store easily.